A reader is fed up with pedestrian buttons and isn't going to take it anymore. Damn these traffic lights and their little yellow buttons! "I find it infuriating that in most parts of Southern California, pedestrians must push a button and wait through a cycle of lights to cross an intersection. 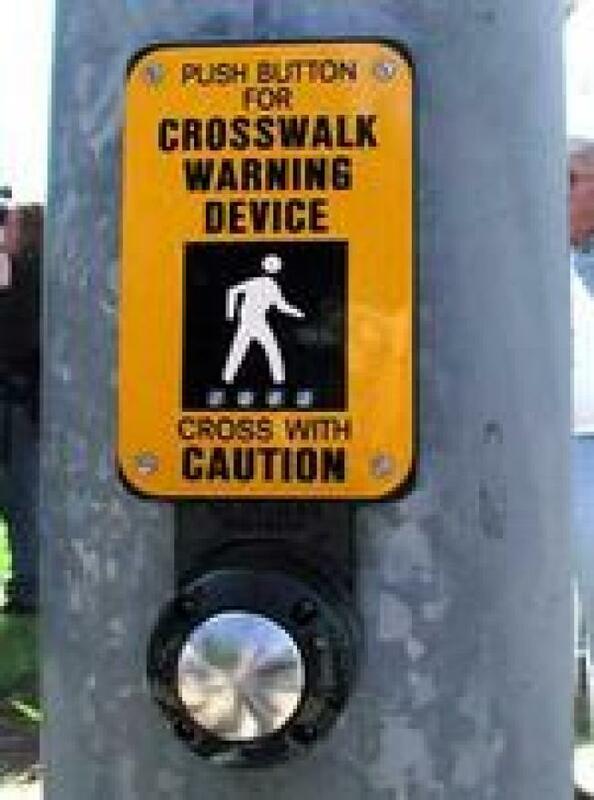 In dense, successful cities like New York and San Francisco, crosswalks automatically permit people to cross. But here, even otherwise pedestrian-friendly areas like Pasadena and Santa Monica relegate the people most engaged with the surrounding shops and most thoughtful in their means of getting around to second-class status! It seems like a no-brainer that neighbourhoods convenient for pedestrians will thrive, while sprawling areas that force people to convey themselves around in giant ugly hunks of metal will pay for their incredible waste. Somebody once wrote (paraphrasing) that the only people walking in LA are foreign, lost, homeless or insane. Does anyone else feel outrage that a place with such fine outdoors (fires notwithstanding) should discourage people from walking around cities and towns like this?"